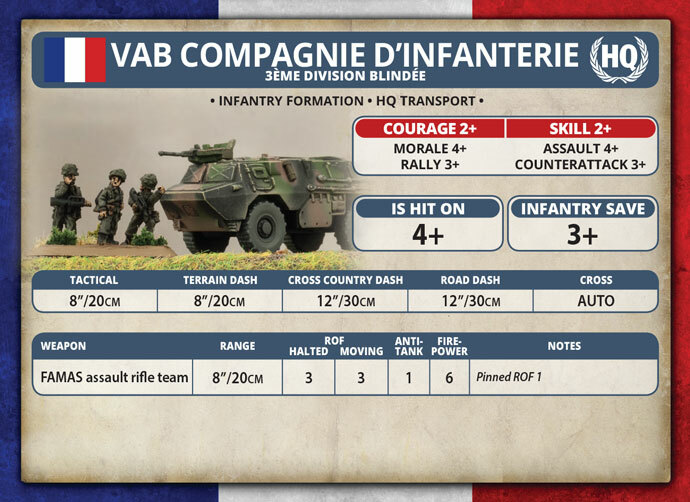 A Section d’Infanterie (mounted in VAB APCs) is made up of a headquarters group, four combat groups and an anti-tank group. 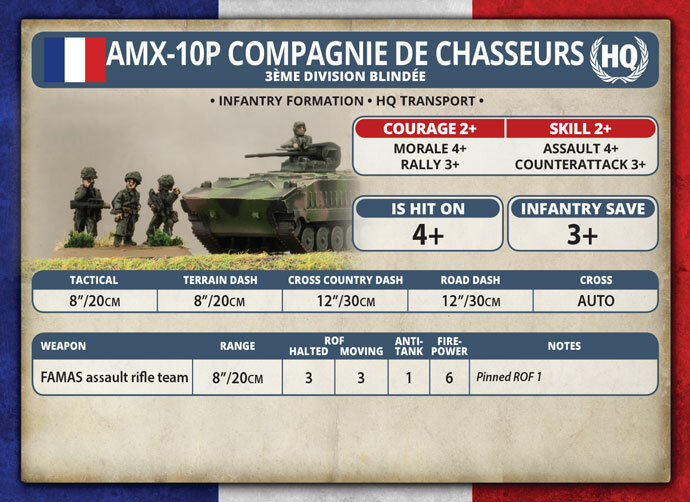 The combat groups are armed with the 5.56mm FAMAS (Fusil d’Assaut de la Manufacture d’Armes de Saint-Étienne) assault rifle and 7.62mm NF-1 general purpose machine-gun. 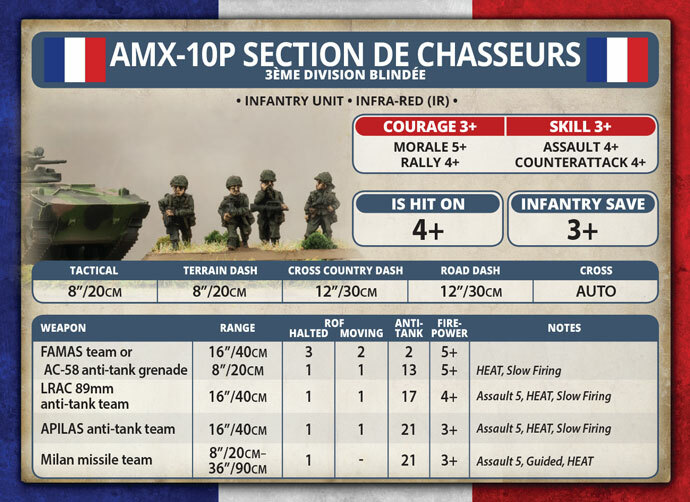 The FAMAS is also designed to fire a number of different rifle grenades including the AC-58 anti-tank grenade for short range defence against armoured vehicles. 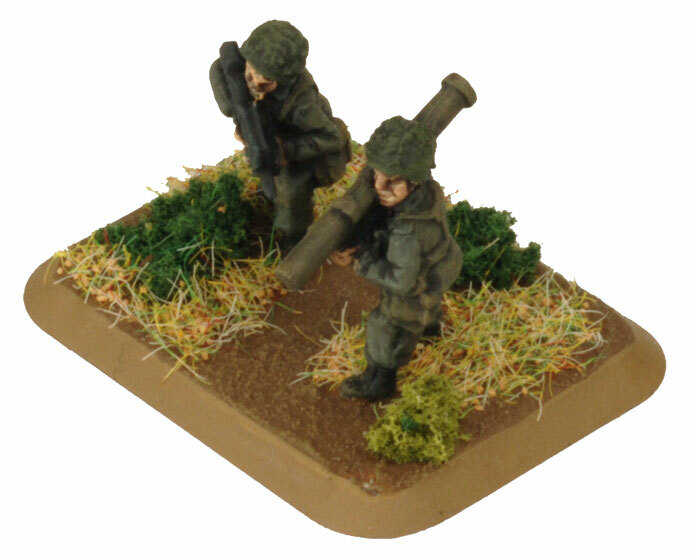 The antitank group is armed with two 89mm LRAC F1 (Lance-Roquettes AntiChar de 89 mm modèle F1) anti-tank rocket launchers. 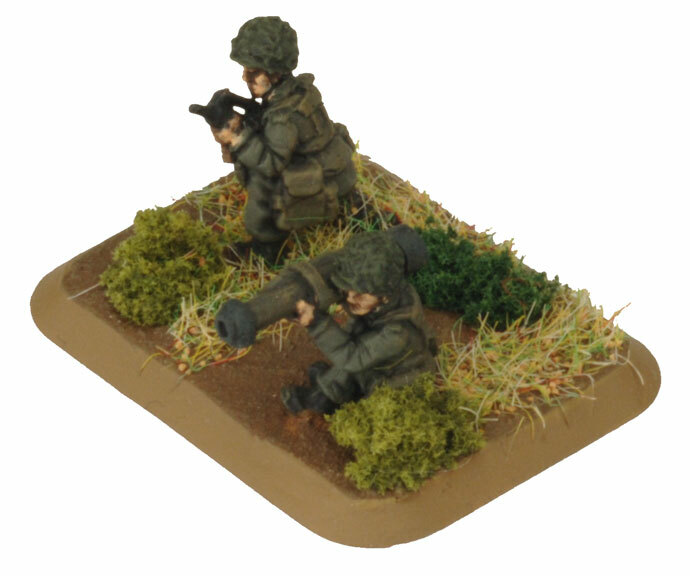 Sometimes the LRAC’s firepower is also supplemented with the new APILAS disposable 112mm recoilless anti-tank weapon. 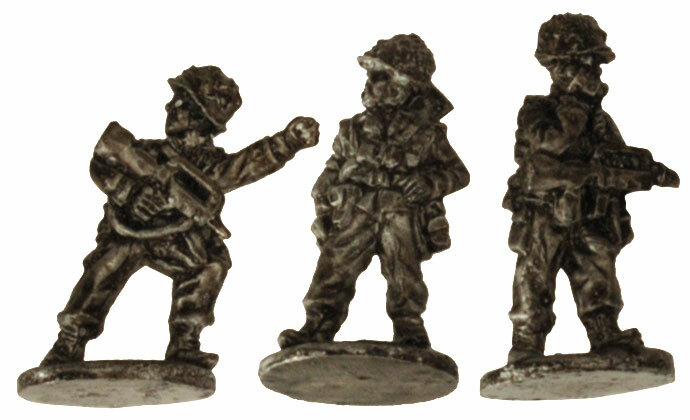 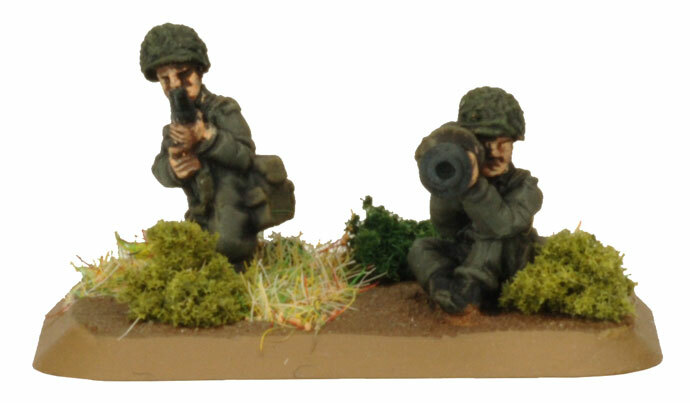 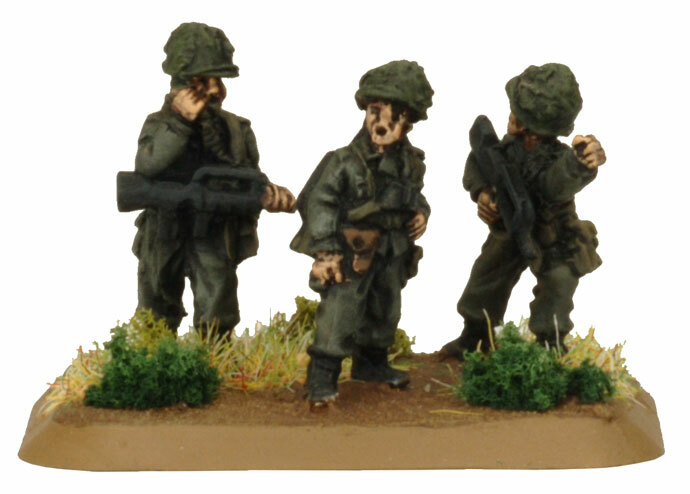 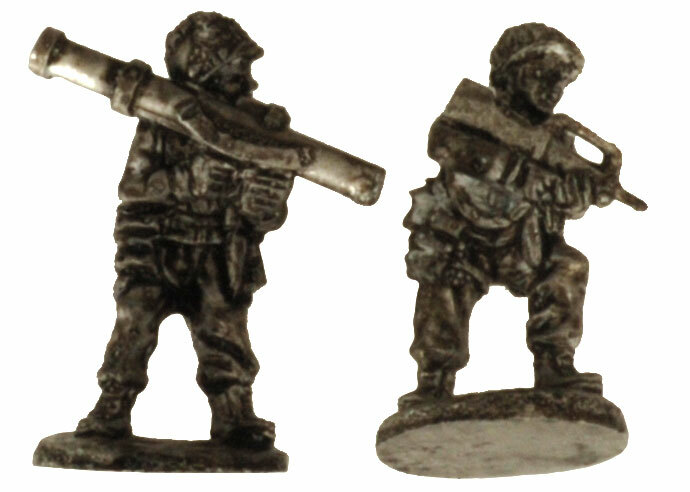 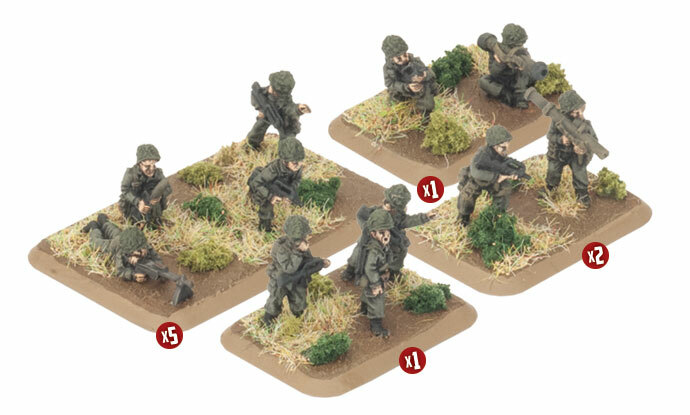 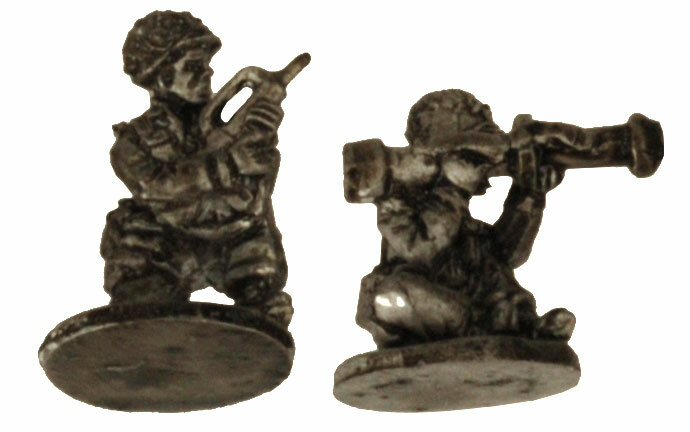 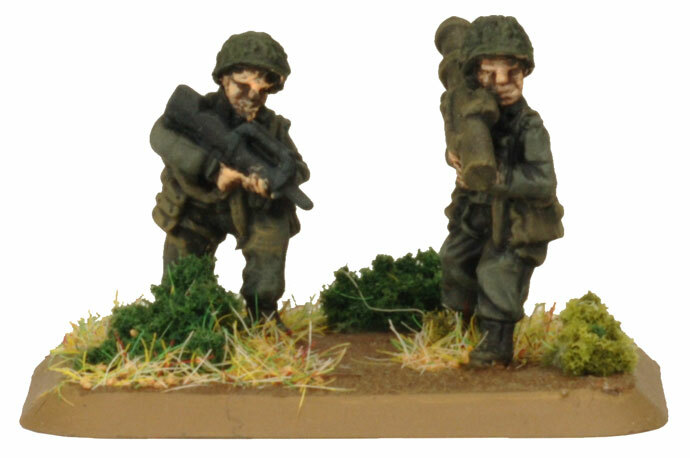 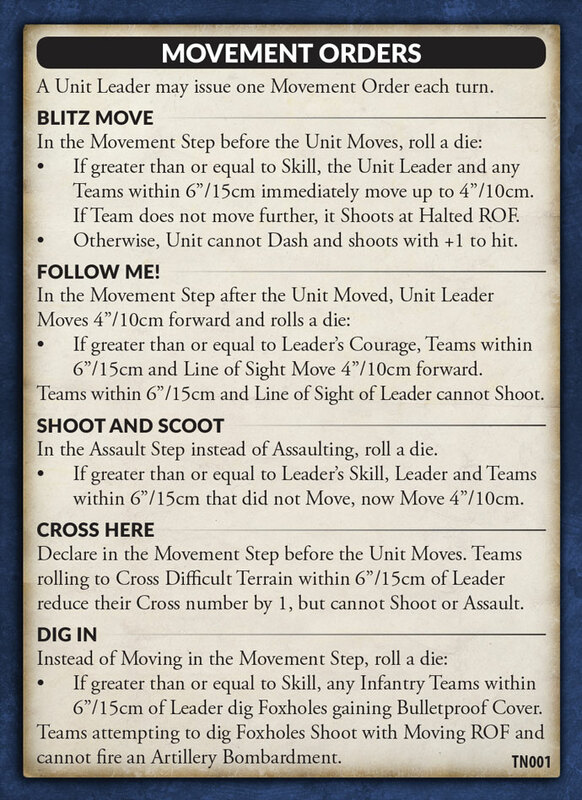 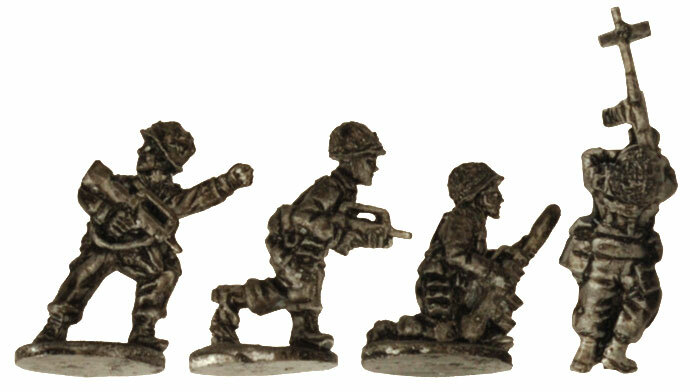 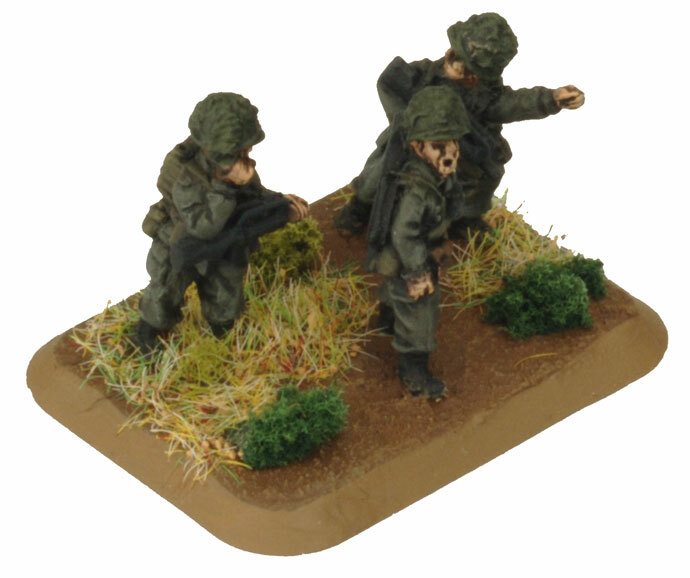 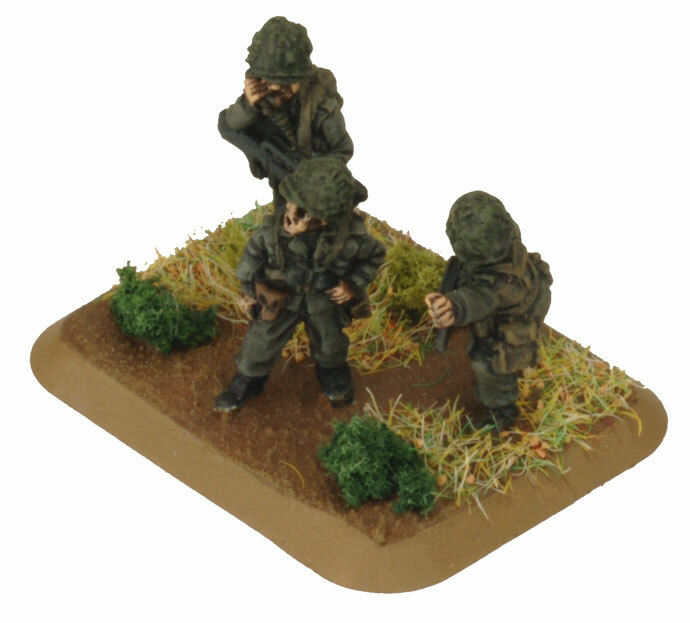 Base the Commander on a small base with a radio operator and rifleman. 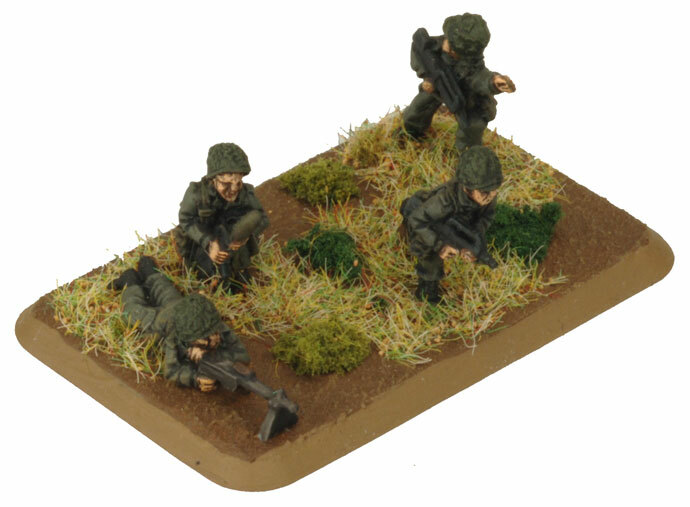 Base a French FAMAS team on a medium base. 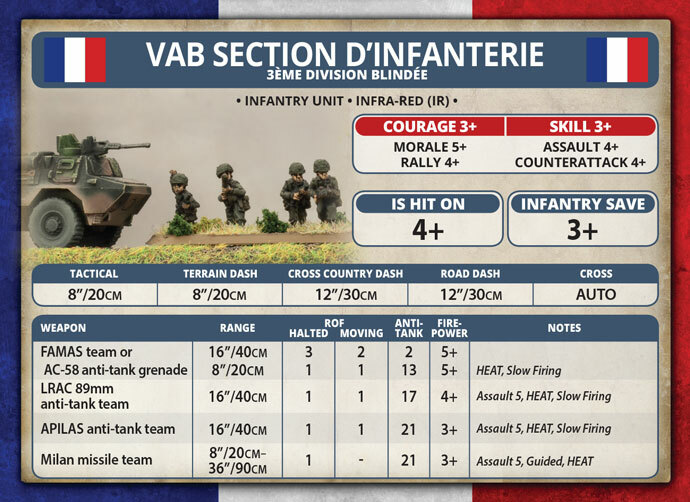 Teams combine a machine-gunner armed with a light machine-gun, riflemen armed with battle rifles and light anti-tank weapons. 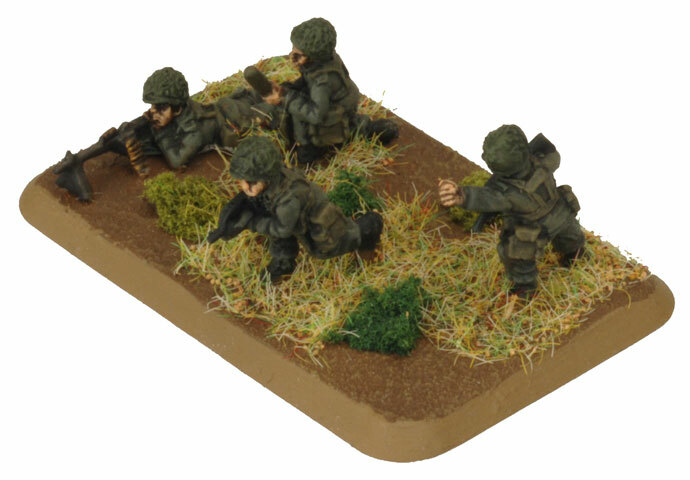 Base the French APILAS teams on a small base with a gunnar and a loader. 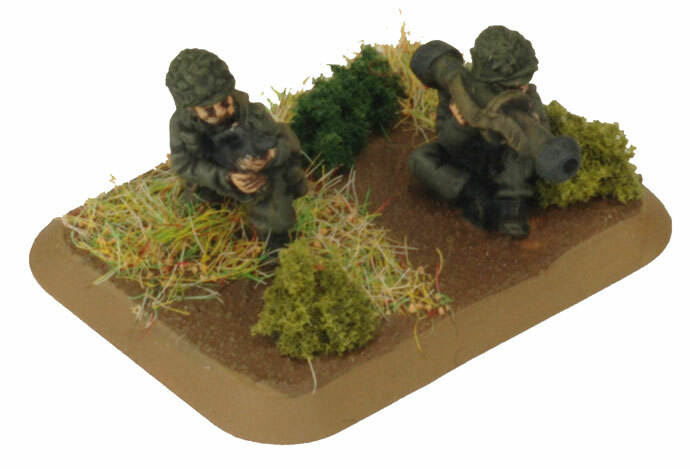 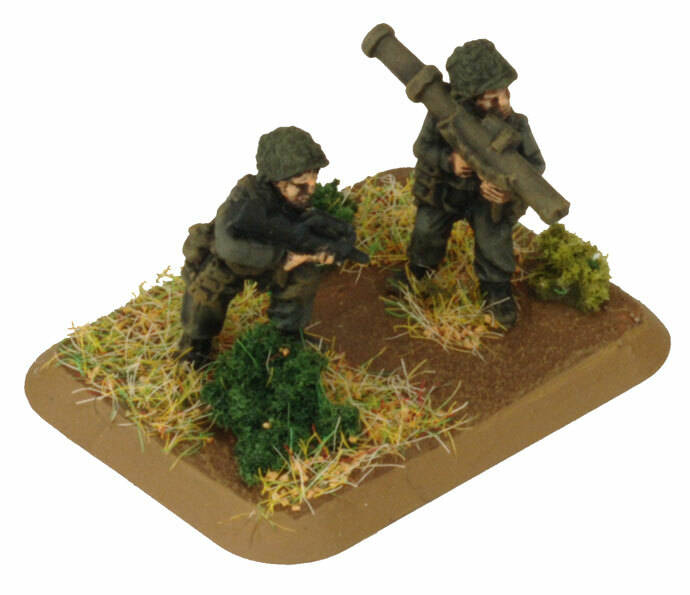 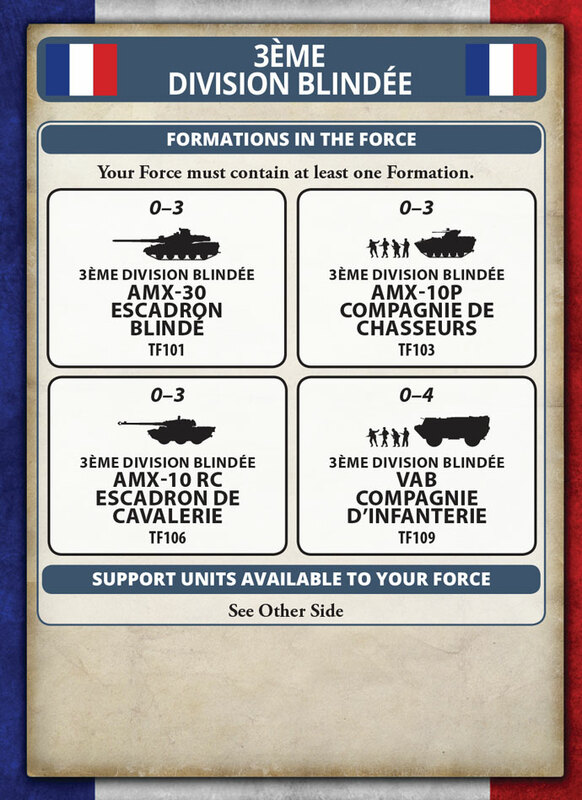 Base the French LRAC anti-tank teams on a small base with a gunnar and a loader.